After many near misses and false dawns for the past 12 years without a Premier League trophy, Arsenal have finally learned to rise to the challenge of the Premier League title this season. With the signing of quality players and things falling in the right place, the Gunners can finally win it. There’s a lot that is different about Arsenal this season. They’ve not had a very trophy-laden decade but they’ve displayed quality season in season out ever since their last title win back in 2004. 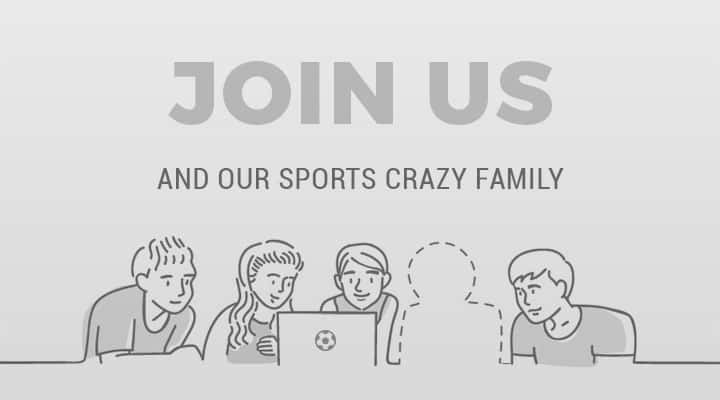 Yes, the club has dearly missed talismanic characters like Dennis Bergkamp, Patrick Viera and Thierry Henry since their departure but it has managed to finish in the top 4 of the league every season and has also made it past the group stage of the Champions League in every European journey. That is not easy by any means. We’ve seen Chelsea win the league, the Champions League but we’ve also seen them stutter and finish in positions like 6th and 10th. Manchester United too have struggled to find their ground after Sir Alex Ferguson’s retirement and have finished outside the top 4 a couple of times. The consistency that Arsene Wenger has achieved at Arsenal is something remarkable. However, that does not compensate for their consecutive failures to land the title after showing promise earlier in the season. This season, there seems to be a contrasting whiff surrounding England. Arsenal have done many things differently this season that show true intent and desire to win the league. Arsenal made some good signings before the 2016-17 season kickstarted by getting the likes of Granit Xhaka, Shkodran Mustafi and Lucas Perez on board. They’ve added some depth to their squad which they’ve lacked in the past seasons. While Xhaka provides solidity in the heart of midfield, Mustafi is a reliable centre back and Perez adds to the Gunners’ attacking options. Much like other seasons, Arsenal started their season with a poor showing and slumped to 3-4 defeat at the Emirates to Klopp-led Liverpool. From that very day, their season has taken a dramatic turn as they went on an unbeaten streak for the next 19 games. Arsenal could manage this by picking up points in games where they didn’t manage to reach their lofty standards. That’s a trait of champions- to keep the points ticking despite some not-so-good performances. They rose from the dead to avoid defeat at Old Trafford- a stadium where they haven’t enjoyed a great record and have scored 90th-minute winners against Southampton and Burnley respectively. There are no qualms about the fact that Chelsea are currently running riot in the league having notched up 11 wins on the trot. However, one must not forget what happened when they faced Arsenal. They were simply outclassed by the Gunners who ran rampant and crushed them 3-0. Chelsea have been invincible since that mauling but their 3-4-3 winning formula looks likely to be decoded sooner than later. 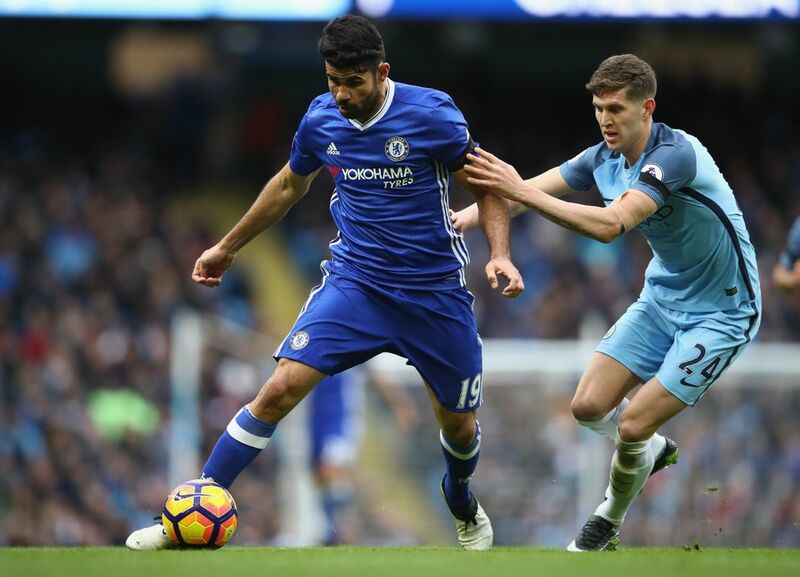 The team relies heavily on Costa and with him being out for their Boxing Day clash after receiving his 5th yellow of the season, things could change. They’ll also be missing midfield general N'golo Kante for the same offence of picking up 5 yellow cards. Experience is what sets Arsene Wenger apart from the other managers in the fold. All title challengers -Chelsea, City, Liverpool, Tottenham and Manchester United – have new managers. While most of them are completely new to the league, Mourinho is handling a completely different squad. So, Wenger will have a trick or two up his sleeve to stave off competition from the others as the league progresses owing to his Premier League acumen that he has built over two decades. Arsenal have a joker in the pack this season- and it’s none other than Olivier Giroud. Having been sidelined with Wenger preferring Alexis Sanchez in a false 9 role, the Frenchman has proved to be a real game changer coming off the bench. You can see the hunger in his eyes and maybe the frustration that’s brewing inside him gets the best out of him. He’s not the 25-goals-a-season striker that a title-challenger would seek, but he has changed the complexion of some fixtures in the season with his goals- notably against Sunderland and Manchester United. 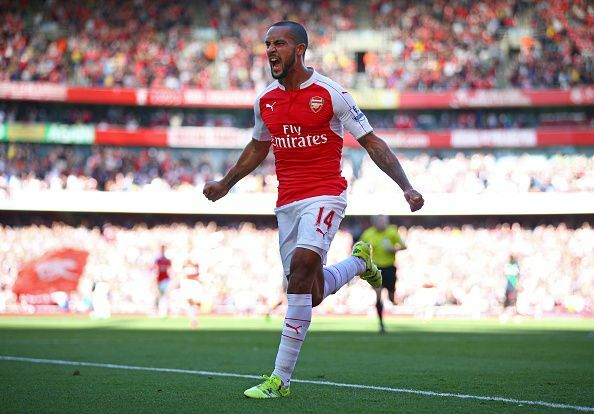 Theo Walcott, the man who had failed to live up to his potential all this while seems to have finally found his feet at Arsenal. He has settled well in his new position and is making some valuable contributions in the Arsenal attacks. He has already managed 8 goals and 2 assists this season and seems to be effective when cutting in from the right wing. On the other flank Arsene Wenger enjoys the choice between Alex Iwobi and Oxlade-Chamberlain who have also stepped up the gas this season. 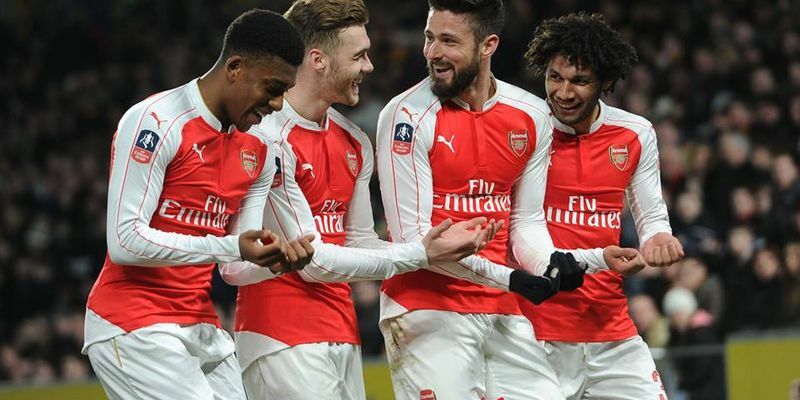 Arsenal’s investment in youth players is finally beginning to pay off. 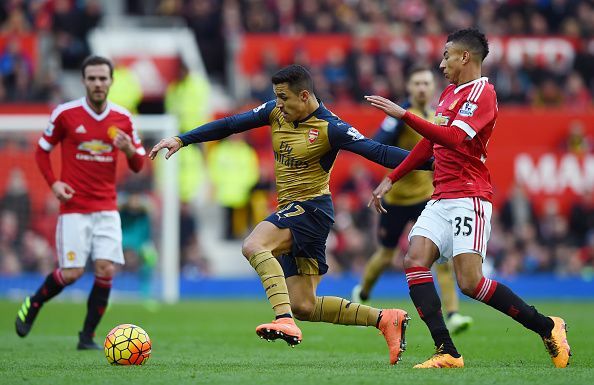 Alexis Sanchez, as we know, is not an out and out striker but he is extremely capable of leading any team’s attack. Wenger has shown faith in the Chilean who has performed brilliantly scoring 12 goals in the league so far. Sanchez often drops back pulling defenders towards him and this allows Ozil to provide his exquisite services to Walcott, Iwobi/Chamberlain down the flanks who use their pace to penetrate and score or create goal-scoring opportunities. Defensively too, Arsenal appear to have addressed their fundamental weaknesses. Koscielny and Mustafi have formed a formidable partnership in the heart of the defence and Bellerin is becoming better by the day. Monreal has also established himself as a dependable left back now. With Petr Cech in goal, Arsenal look steady and calm which wasn’t the case a few years ago. 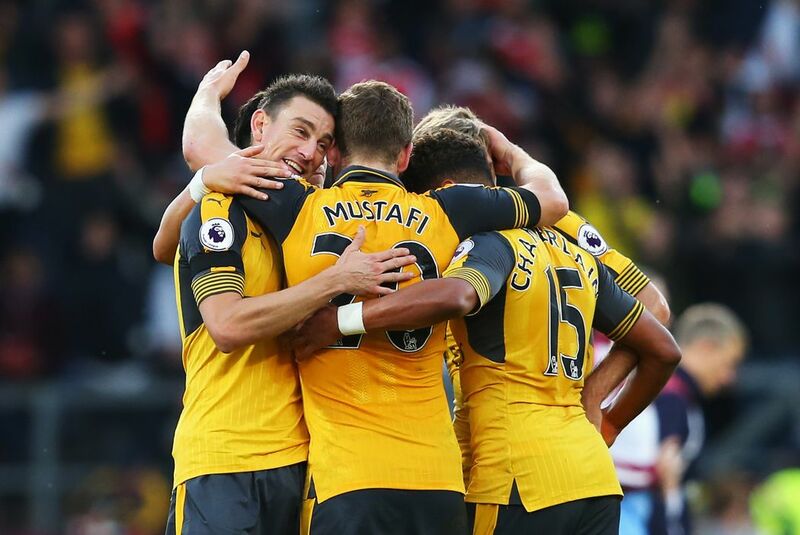 After their 3-4 defeat on the opening day Arsenal have improved and chalked up 4 clean sheets. Those reading this article till this stage may question- how can chokers Arsenal suddenly turn over a new leaf and spring a surprise having lost 2 games in a row? No team wins the league with a smooth sailing. Every eventual champion has had his boat rocked at some stage in the season. Arsenal have a good chance to bury the ghosts of their Everton and City defeats with a light fixture run as they enter 2017. They play West Brom and Crystal Palace at home in their next games and you’d expect them to scalp 6 points from those games to get back on track. 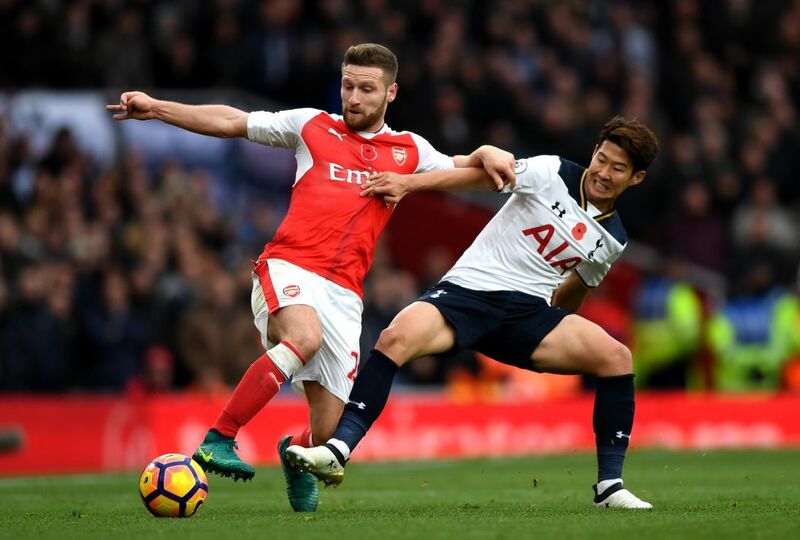 Arsenal will also be buoyed by the return of their German defender Mustafi who was missing on all the occasions when Arsenal lost this season. Arsenal are yet to lose a game in which the German has featured and will definitely be much more solid at the back once he returns before the new year. Arsenal will also be bolstered by the return of Danny Welbeckafter a long injury lay-off. If he can repeat the form he showed when he returned from injury last season (remember that injury-time winner against Leicester?) Arsenal will definitely be a team to fear. Even if he doesn’t score much, Welbeck will be a great asset with his scintillating pace and work-rate. Arsenal are already out of the EFL after being knocked out by Southampton. They’ve drawn Bayern Munich in the Champions League round of 16 (again) and a potential exit might help them focus on the league as was the case with Chelsea when they were eliminated by PSG and went onto win the Premier League in the 2014-15 season. Arsenal are linked with West Ham's Dimitri Payet as we approach the January transfer window and an addition in their attacking ranks will only make things better. Arsenal aren’t known to make prolific swoops in this transfer window but as mentioned before--they’ve done a lot of things differently this season. So, there are lot of factors that point in the positive direction for Arsenal and there’s a good chance that we will see them lifting the 2016-17 Premier League trophy.